This square retail glass tower display is great for organizing the sales floor. Four adjustable shelves accommodate merchandise in a variety of sizes. 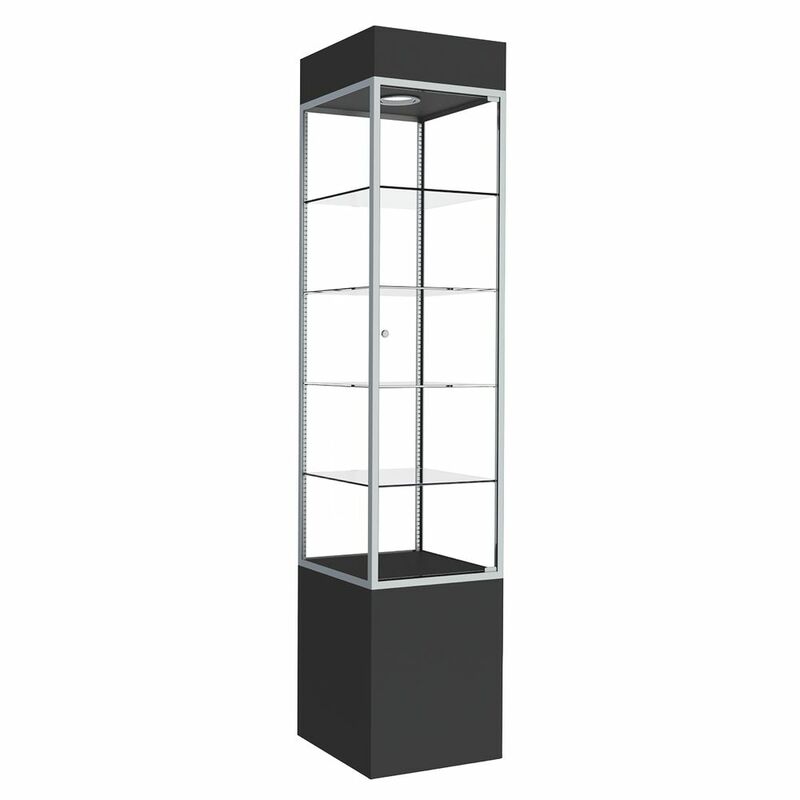 The retail glass tower display is equipped with sealed beam halogen spotlights that are great for showcased items like jewelry. The case with a black laminate finish gives the sales floor an upscale appearance. The display showcase comes with a knob lock to keep your merchandise safe and secure.